Today is National BRA (Breast Reconstruction Awareness) Day. As a plastic surgery practice, we are often confronted with aesthetic driven conversations. And while we are always eager to help all patients achieve their desired look, every so often we are humbled and reminded of our roots. Plastic surgery is defined as reconstructing or repairing parts of the body. When our patients who are fighting or who have fought breast cancer are interested in breast reconstruction, they come to us seeking answers and possibilities. We feel truly privileged to be part of the journey. 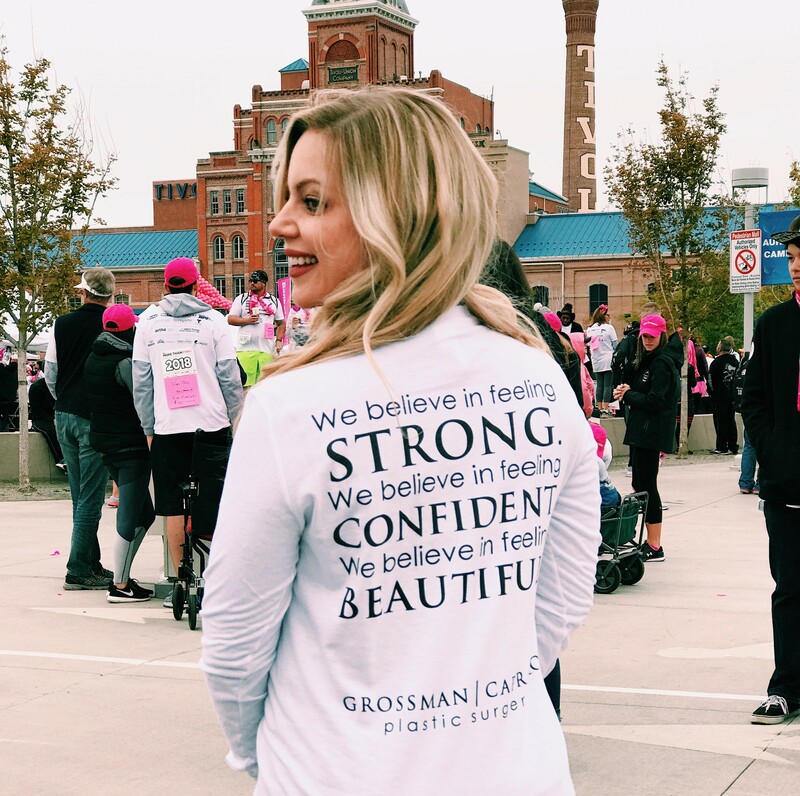 The month of October is no stranger to Breast Cancer Awareness; that’s why Aesthetic and Reconstructive surgeon, Dr. Teresa Cunningham and our team showed up to the Susan G. Komen Race for the Cure: Denver, to not only show support for the cause, but to also be a resource. The morning of the race, Denver’s downtown area was blanketed in over-cast, gloomy-weather. But with hopeful spirits, every participant wore a smile that proved we didn’t need a sunny day to show cancer we were not afraid. 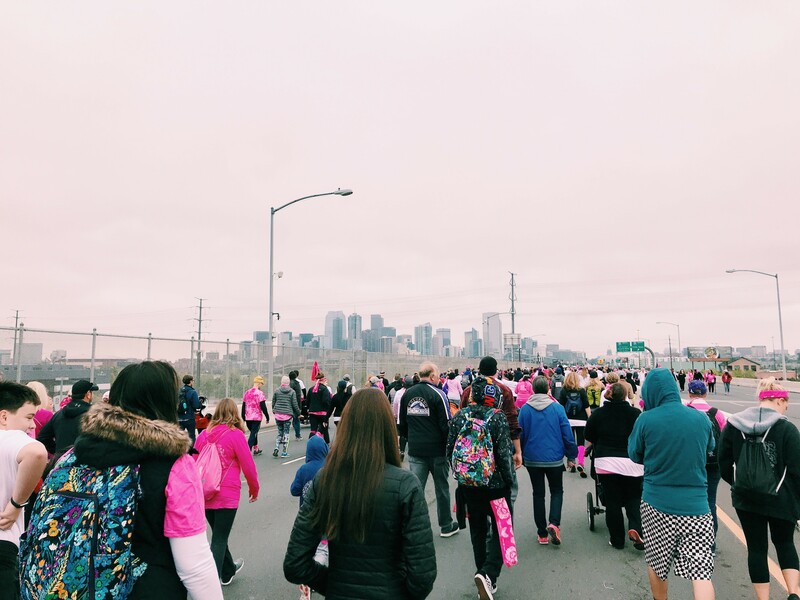 While the University of Colorado: Denver campus field filled with survivors, family members, and participants, our team stood in awe of how many people just in this race were affected by the disease. 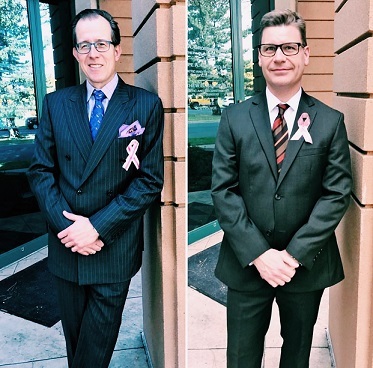 Some of our very own team members have been personally affected by the devastation Breast Cancer brings. And while we appreciated survivors’ outcomes and remembered those who fought their best fight, it was time for us to move forward. With the sound of the horn, we proudly began the walk. Winding through buildings and highways, we received car horn honks and cheering from bystanders. We were part of a movement so much greater than us, and it was such a rewarding feeling to be part of the solution. 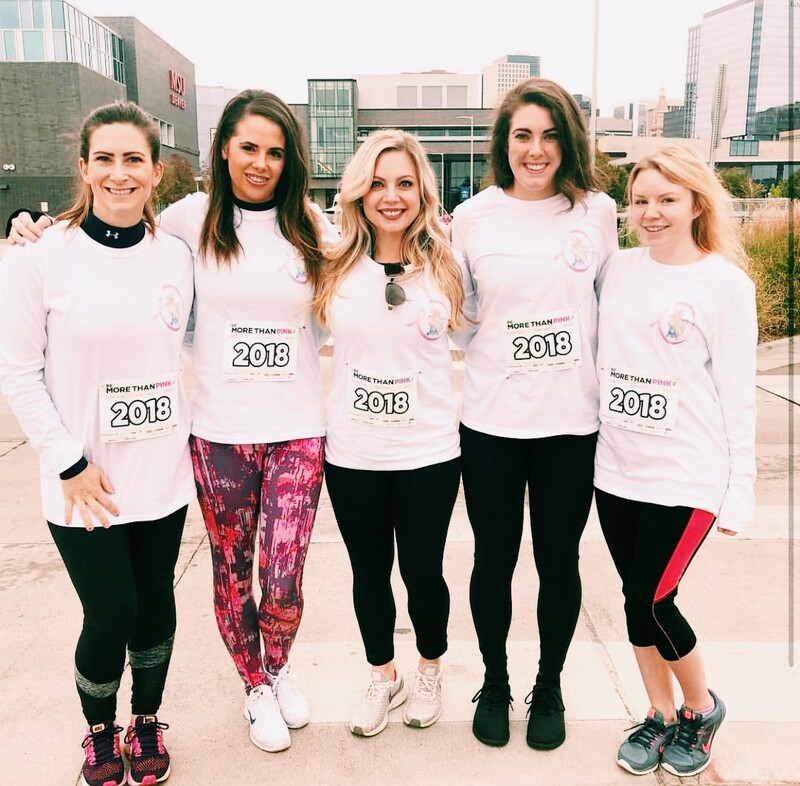 As a practice, we were so honored to be part of such an empowering event and to be part of our Denver community. While we understand that breast cancer is a devastating disease and not everyone is given the chance to live, those who do survive can feel wholesome again through reconstruction. Our practice offers the talent and expertise of three exceptional aesthetic and reconstructive plastic surgeons. Along with Dr. Cunningham, a patient can also consult with Board- Certified surgeons, Dr. Philippe Capraro and Dr. Matthew Baker both of whom provide exceptional experience, talent and care. All three find joy in speaking with breast cancer survivors, discussing options that make sense for their needs, and watching their patients feel beautiful again. Begin your reconstruction today. Contact us to book your consultation with any of our three exceptional denver plastic surgeons. With two convenient locations in Denver and Greenwood Village, we look forward to meeting you and being part of your journey!